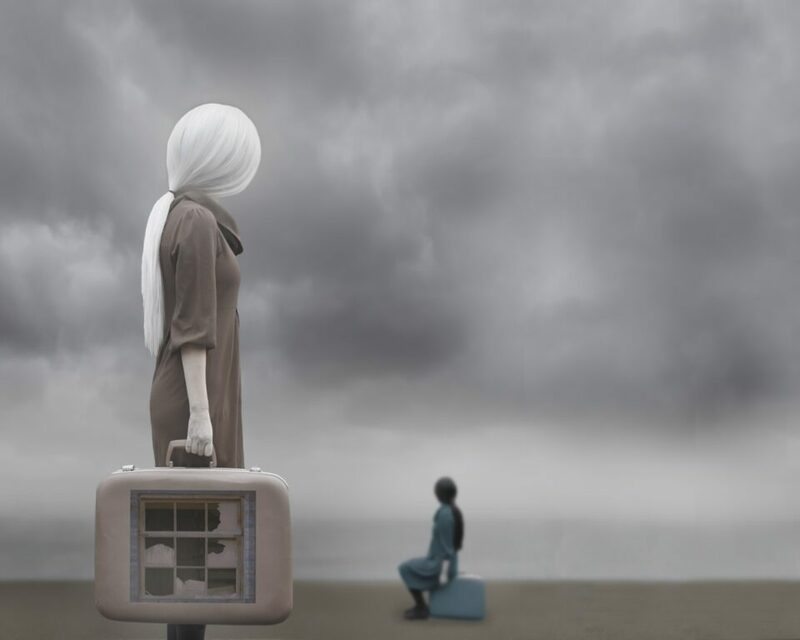 Patty Maher is an internationally recognised fine art photographer based in Ontario, Canada. Working primarily in staged self-portraiture, Maher is widely known for obscuring the faces of her subjects, often using posture, gesture, symbol and colour to convey emotion and narrative. The latest series, Imagined Landscapes, explores understandings of place. Maher explains: “The way we perceive space is completely unique – based on our history, biases, hopes and fears. In this way, we all exist in imagined landscapes.” The images visualise this phenomenon: uncanny objects from the everyday appear within obscure and expansive horizons, tapping into notions of the subconscious. A foreboding grey sky hangs over sparse plains and open sea, whilst faint crescent moons linger and disappear amongst the clouds. “In this series, the places have all been constructed: none of them exist in reality, but have been pieced together to create an illusory world,” the artist continues. Anonymous characters stand transfixed upon unknown entities in the distance, locked within a state of contemplation. 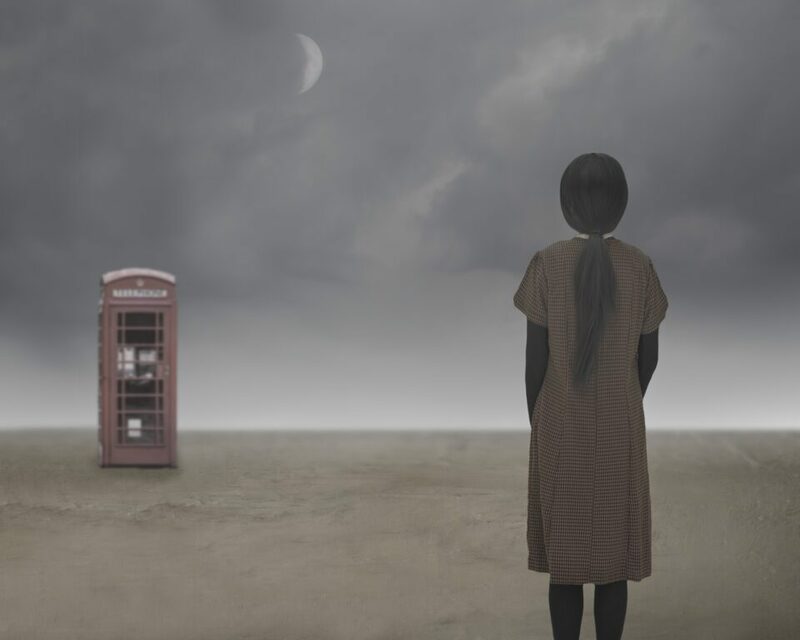 “Each photo depicts characters engaged in the internal world of these spaces through metaphor and surreal narrative,” Maher explains, pointing viewers towards compelling inner journeys. 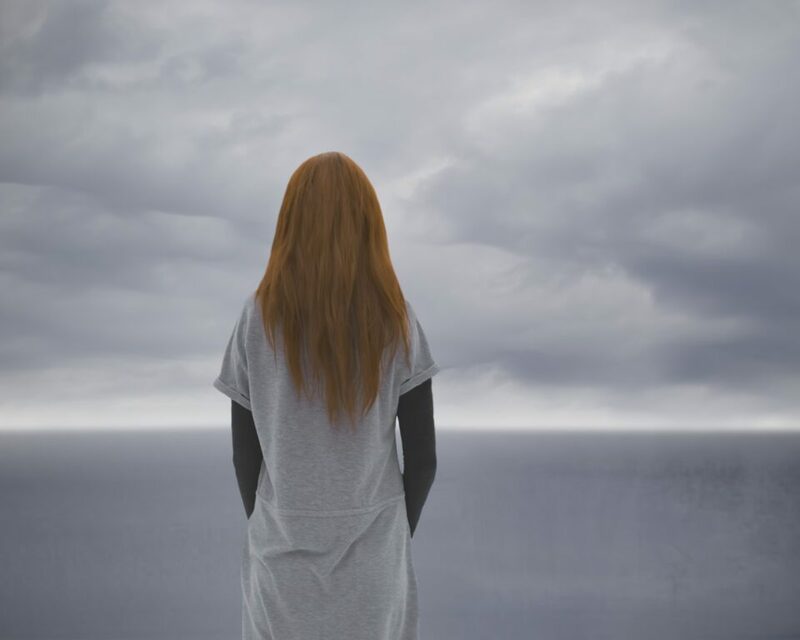 Patty Maher’s solo exhibition at Contact Photography Festival, Toronto, titled The Sky As My Witness, runs from 3 – 25 May. Find out more here. 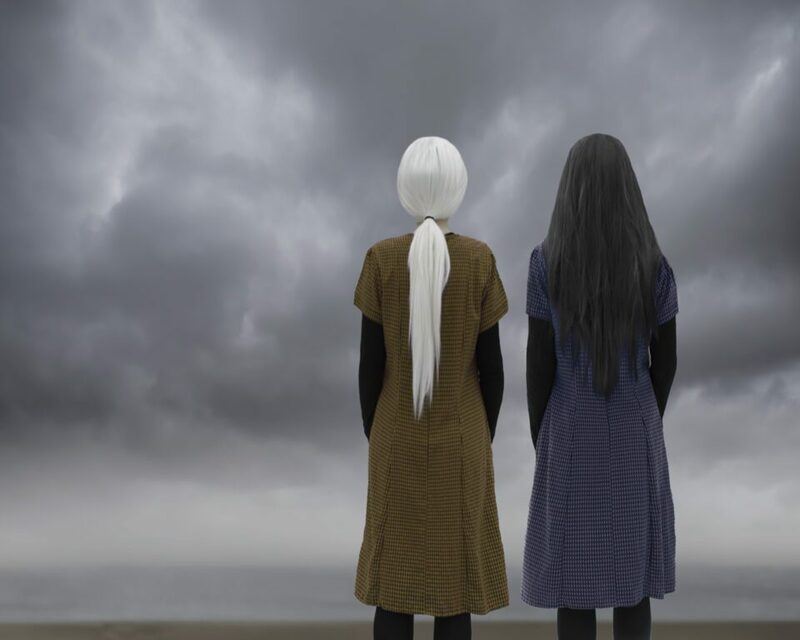 All images courtesy Patty Maher.